Ford’s latest is an RS-powered fast coupe for drivers who don’t feel the need for a big honking V8 up front. 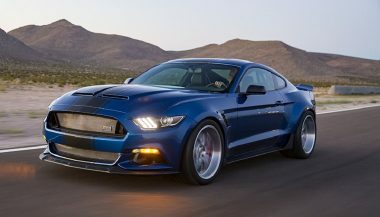 It’s the 2020 Ford Mustang High Performance Package and it adds a host of go-fast goodies for buyers who are just fine knowing that the engine under their hood only has four cylinders. 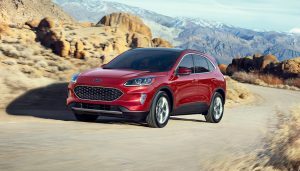 It’s an idea that started when some Ford engineers got their hands on the engine from a Focus RS. Then swapped it into a Mustang. That’s because while they might share a displacement, the engines in the fast-Focus and the base Mustang have some serious differences. That 2.3L engine, worked over by Ford Performance, delivers 330 hp. That’s 20 more than the standard EcoBoost Mustang. Torque’s not changed, but like the engineer said, it’s offered over a wider range. Letting that 2.3L sound off is a quad-tip active exhaust. Helping get that extra power stopped, the EcoBoost gets the larger brakes from the Mustang GT. That means 13.9-inch rotors up front with four-piston fixed calipers. Suspension upgrades include larger sway bars. 32 mm up front and 21.7 in the rear. A strut tower brace up front helps stiffen the chassis. Ford has also retuned the electronic power steering in the Mustang High Performance Package. That’s along with changes to the ABS and stability control system. A 3.55:1 limited-slip rear differential plants the power. 19-inch wheels get 255-wide summer performance tires. There are exterior changes like a new front splitter and a raised rear spoiler. The brake cooling ramps from the GT performance pack reduce lift and help cool the front rotors. 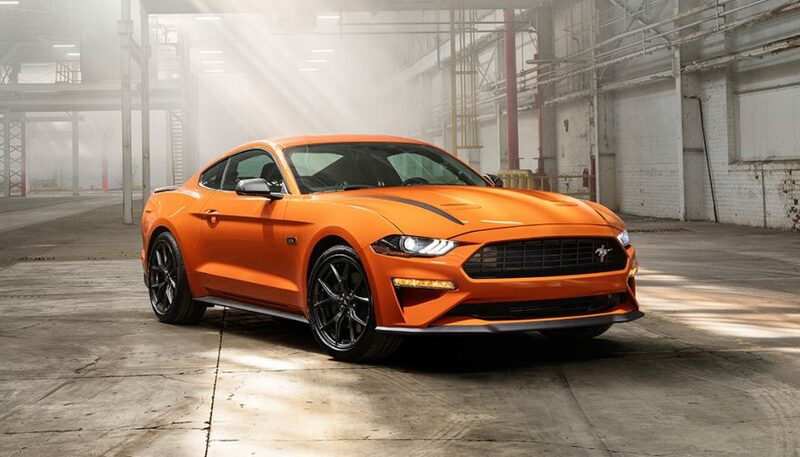 If you want even more handling from the car, an EcoBoost handling Package added to the 2020 Ford Mustang High Performance Package can do it. It gets specially calibrated MagneRide magnetic shocks and a Torsen rear differential. Plus the 19-inch wheels are half an inch wider and wear 265-wide Pirelli P Zero Corsa4 performance tires. A thicker rear sway bar improves the handling balance. The 2020 Ford Mustang High Performance Package is just part of Ford’s changes for 2020. 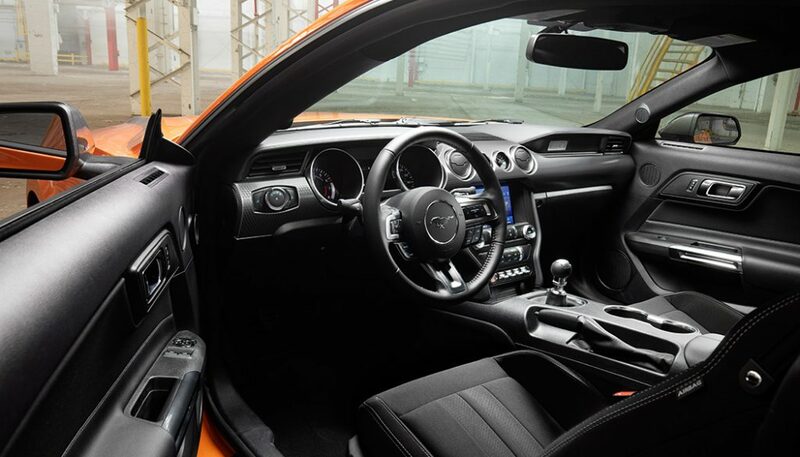 The Mustang gets FordPass Connect standard, which adds features like unlocking and location from your smartphone. There are also four new colours including Grabber Lime and Twister Orange. 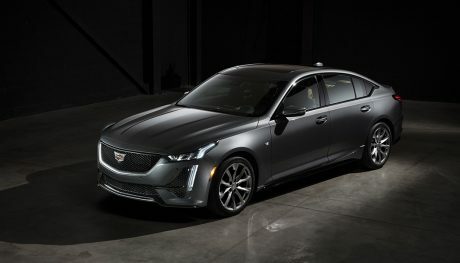 The car is set to arrive at dealers later this year. 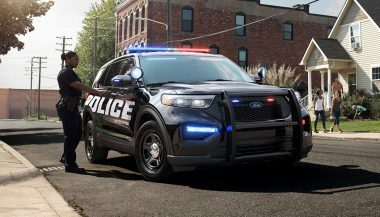 The 2020 Ford Police Interceptor comes with an all-new hybrid drivetrain as standard. That helps make blue a little more green. 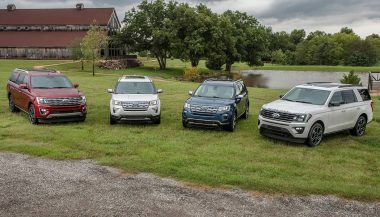 It's two new Ford Expedition Special Editions as well as two fancy versions of the Explorer. With special trim, upscale leather and more. Shelby American recently unveiled two new vehicles: a wide body Shelby Super Snake concept and the Shelby F-150 Super Snake Truck.